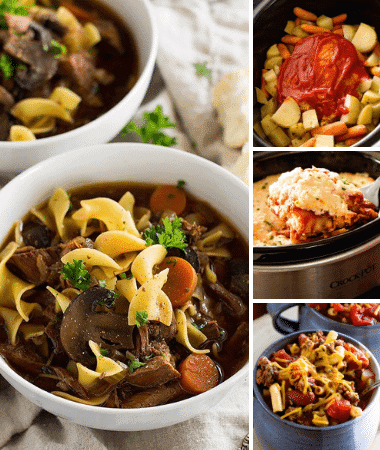 Looking for a quick and easy soup recipe that is bursting with flavor? 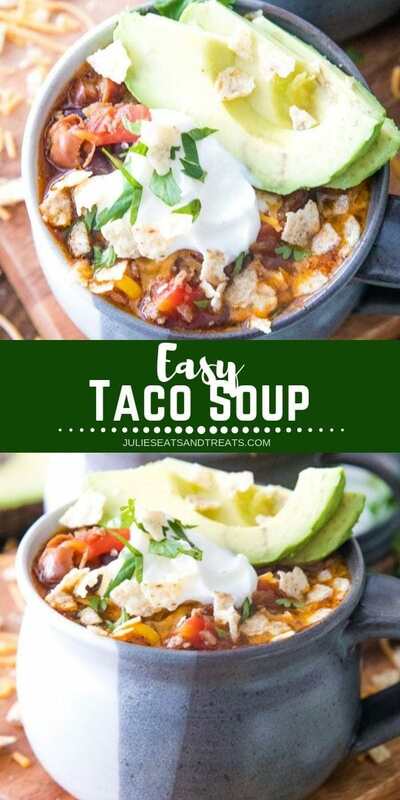 Then you have to make this Taco Soup! 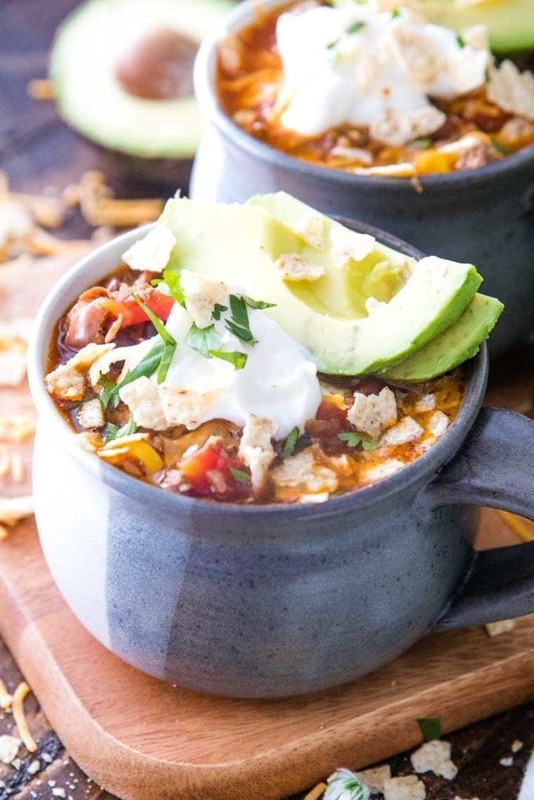 The best part about this soup recipe is that it’s ready in about 30 minutes. Warm up to a big bowl of it for dinner, meal prep it for lunch that week or freeze it for a quick and easy freezer recipe. It’s loaded with ground beef, onion, corn, peppers, beans, tomatoes and seasonings. I love that it’s a healthy recipe too! Personally, I love topping it with cheese, salsa or sour cream! Oh my gosh, we had the busiest day, you know what I’m talking about right? It has literally been SO CRAZY. Then got home, and everyone is tired… and cranky… and hungry! We’ve all been there, right? I mean I love my recipe for Slow Cooker King Ranch Chicken Soup but what happens if you don’t plan ahead? 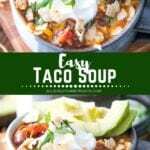 Should I make Pressure Cooker Chicken Taco Soup or maybe Instant Pot Beef Taco Soup? But what if you don’t have a pressure cooker? 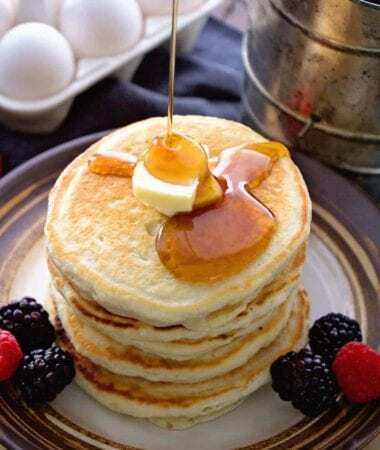 Then you NEED this recipe, right?!!! Oh my gosh, If you’re not sure what to make when you’re short on time, this is the soup for you! 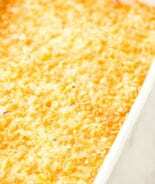 I also love this recipe because it makes enough for leftovers! Can I get a heck yes? Soup leftovers are the best because then I have lunch for a few days after that. 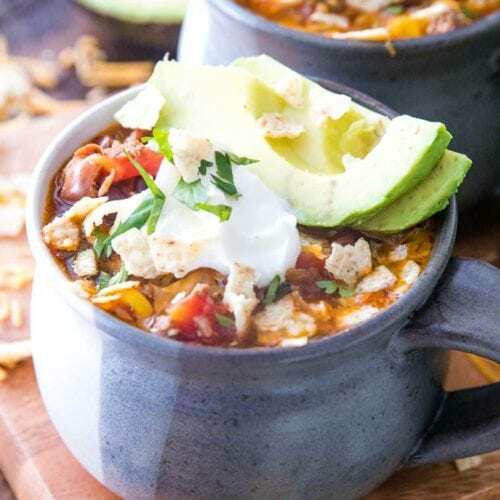 Warming up midday with a warm bowl of homemade Taco Soup is amazing on a cold winter day! So much flavor! My kids love it when I send it to school is this awesome thermos and they have warm soup for lunch! 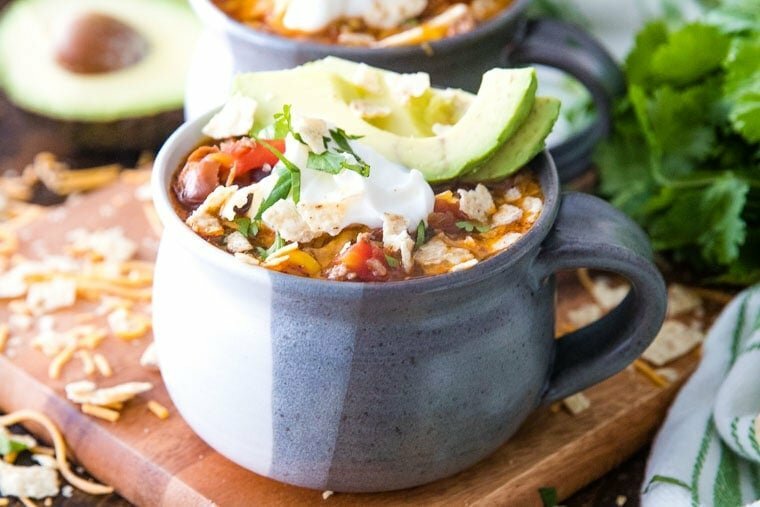 Grocery list for Taco Soup? What kind of beans go in taco soup? Swap out the beef for ground turkey or chicken to lighten up your meal. 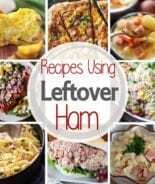 Got leftovers? Turn an ordinary salad into a Taco Salad by ladling a spoonful on top of your salad, delicious! Top off a platter of tortilla chip with leftovers. Just strain out the extra juice, add your favorite toppings and you have Taco Nachos!! To make this Taco super easy make sure you have big dutch oven to make everything in! I never know what the hype over a dutch oven was but ever since I bought one I use it all the time! Add the hamburger to a large pot on the stove. Brown the hamburger and onion. Add the garlic and sauté for just a minute more. Drain grease. Add the remaining ingredients and stir to combine. Bring to a boil. The big bonus with this soup? It freezes GREAT and leftovers on day two? They taste even better, well… ahem… if you have leftovers that is! 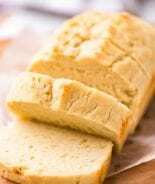 This is super tasty, I know you’ll love it!! 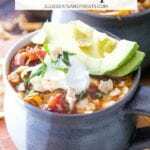 More of my favorite Soups and Stew Recipes! 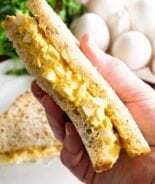 What is your favorite quick and easy meal! Comment below, I want to hear from you!!! 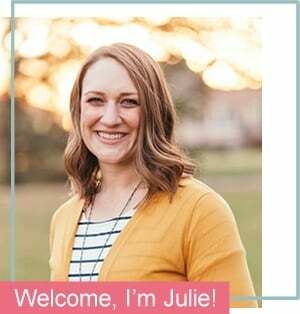 If you’re like me and snap a photo tag me on Instagram @julieseatsandtreats or #julieseatsandtreats that way I’m sure to see your pictures!! 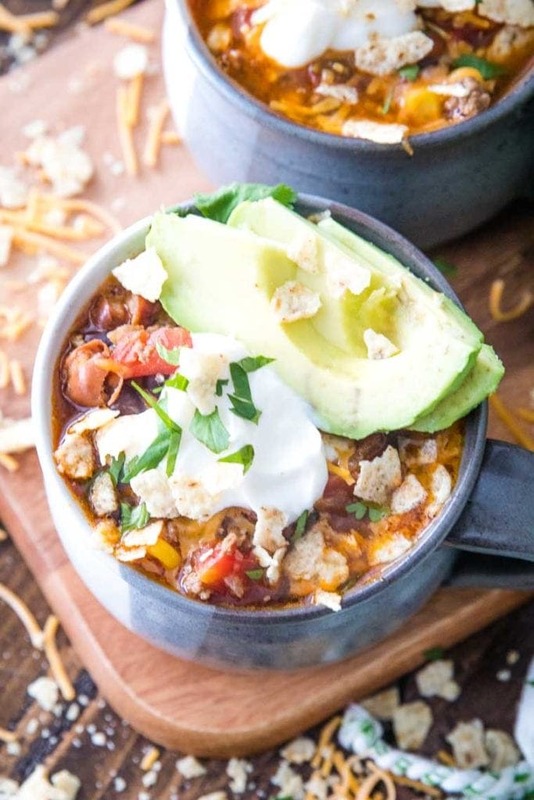 You have to make this Taco Soup! It's ready in about 30 minutes, bursting with flavor and healthy! Warm up to a big bowl of it for dinner, meal prep it for lunch that week or freeze it for a quick and easy freezer recipe. Toppings of choice: Sour Cream, Avocado, Shredded Cheddar Cheese, etc. 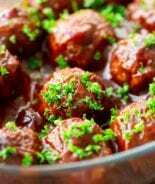 In a large dutch oven brown hamburger and onion about 5-6 minutes. During the last minute of cooking add garlic and saute for an additional minute. Drain grease. Add the rest of the topping to dutch oven and stir to combine, bring to a boil and reduce heat to simmer for 20 minutes stirring occasionally. Looks like a great recipe I might want to try but can you freeze this soup? My Grandmother moved from Minny-so-ta to So. Calif. many years ago. Today, here in So. Calif., it was 77º when I went out for lunch. I thank her, in my mind, every day! Thanks Grandma! Oh my goodness – that avocado on top of this just takes the cake . . . or soup! Looks amazing! I know we aren’t as cold as you right now, but I love putting this soup on the menu anyway!! Any excuse to make it!